Queen Elizabeth II is one of the few monarchs since the Restoration to have been invested with the bracelets. 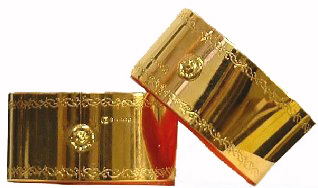 A new pair of gold bracelets was made for her coronation in 1953 and as a symbol of the British Commonwealth of Nations. Each bracelet is fitted with an invisible hinge and a spring catch which is operated by a cast Tudor rose.